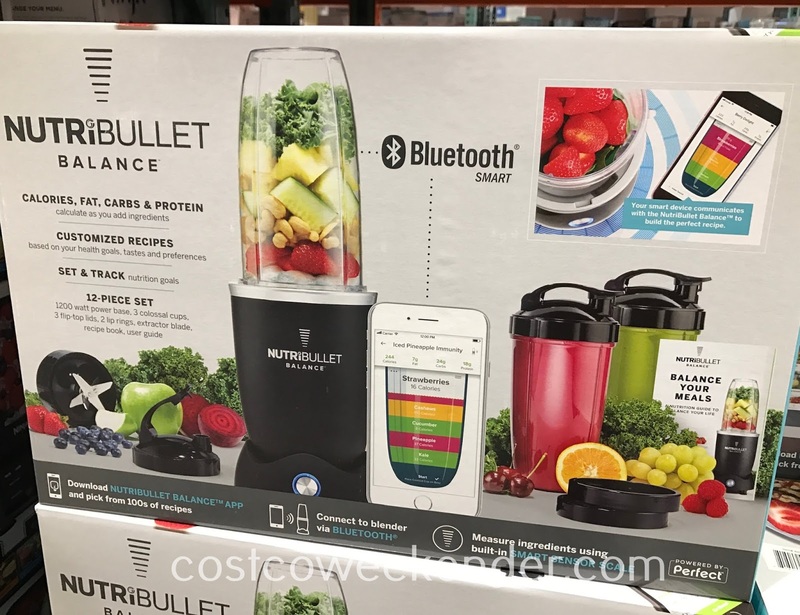 Blenders meant to make smoothies are nothing new especially with the Ninja Bullet and the Vitamix blenders currently out in the market. 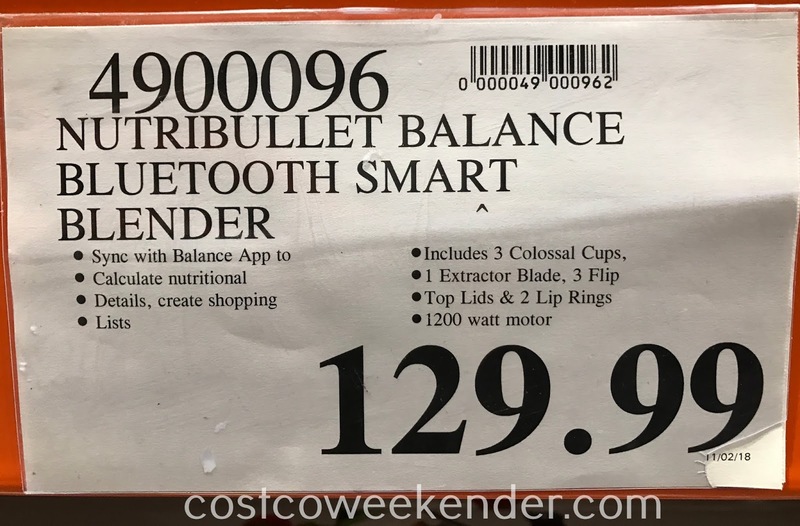 However, unlike those aforementioned units, the NutriBullet Balance Smart Blender is a smart appliance great for the typical home in the 21st century. 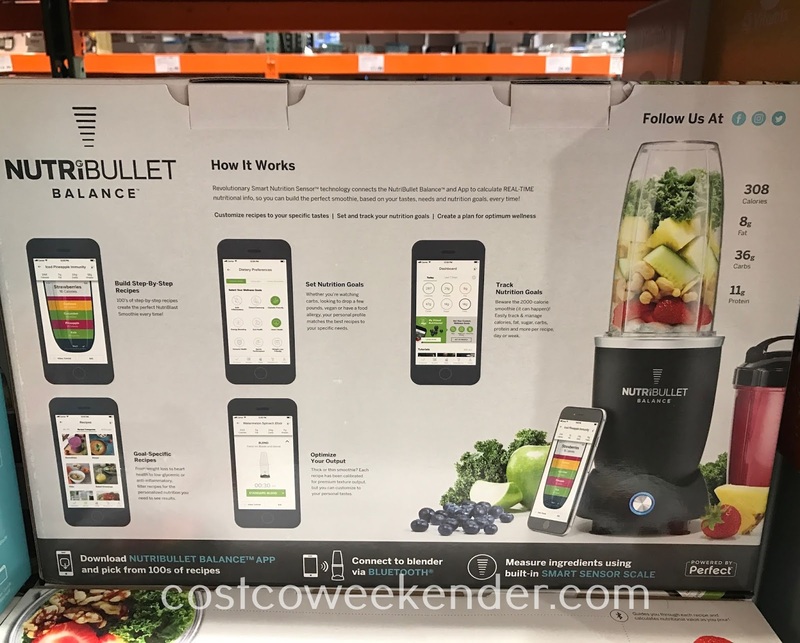 You can use the corresponding app along with the NutriBullet Balance Smart Blender to calculate calories, protein, fat, etc. as you add ingredients to blend. Making your own smoothies at home is healthier since you can control what goes into your body. 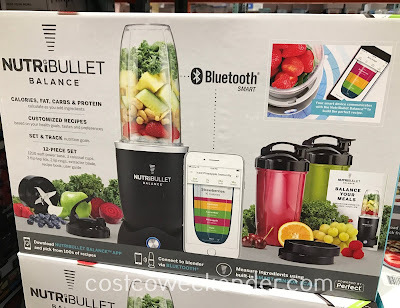 The NutriBullet Balance Smart Blender gives you more control with customized recipes aimed at achieving your dietary goals. 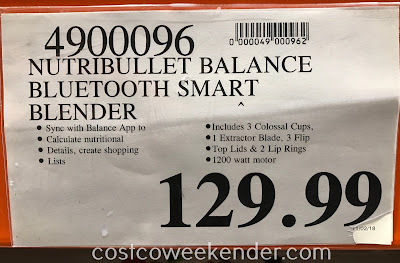 If the NutriBullet Balance Smart Blender were any smarter, then it'd be making the smoothies for you! 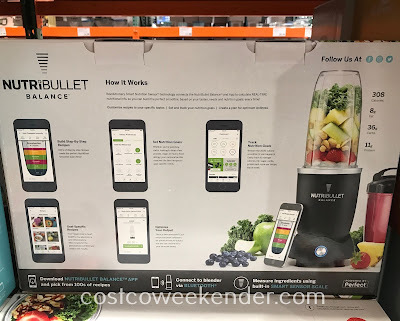 Revolutionary Smart Nutrition technology connects the NutriBullet Balance and App to calculate REAL-TIME nutritional info, so you can build the perfect smoothie, based on your tastes, needs and nutrition goals, every time! 100's of step-by-step recipes create the perfect NutriBlast Smoothie every time! Whether you're watching carbs, looking to drop a few pounds, vegan or have a food allergy, your personal profile matches the best recipes to your specific needs. Beware the 2000-calorie smoothie (it can happen)! Easily track & manage calories, fat, sugar, carbs, protein and more per recipe, day or week. From weight loss to heart health to low-glycemic or anti-inflammatory, filter recipes for the personalized nutrition you need to see results. Thick or thin smoothie? Each recipe has been calibrated for premium texture output, but you can customize to your personal tastes.